In the latest round of classic movies getting the 4K treatment, Lionsgate has announced that it will re-release Halloween on September 25th in the high definition format. The release will be a combo pack, timed almost perfectly to the film’s 40th Anniversary…and the perfect precursor to the new film from David Gordon Green and Danny McBride. In case you’ve been living under a rock for the last four decades, Halloween is the 1978 horror classic that stars Jamie Lee Curtis as Laurie Strode and Donald Pleasence as Professor Loomis. Predominately taking place on Halloween, both Laurie and Professor Loomis will face off against the unstoppable terror that is Michael Myers. Any and all movie fans should be dying to own this, especially considering the influence the film has had on the genre over the years. 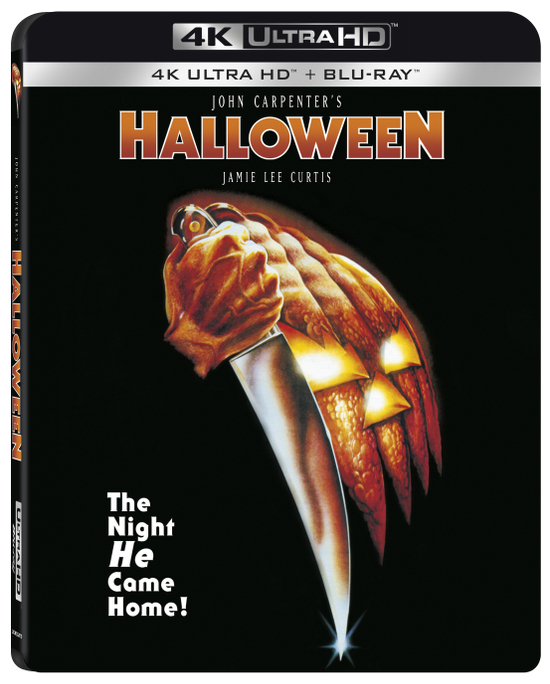 This re-release packs a punch with an added audio commentary with writer/director John Carpenter and scream queen Jamie Lee Curtis, as well as two featurettes, a plethora of ads, the original trailer and footage from the TV version of the film.